This item is a custom certificate frame for the State of Colorado decorative wall certificates. 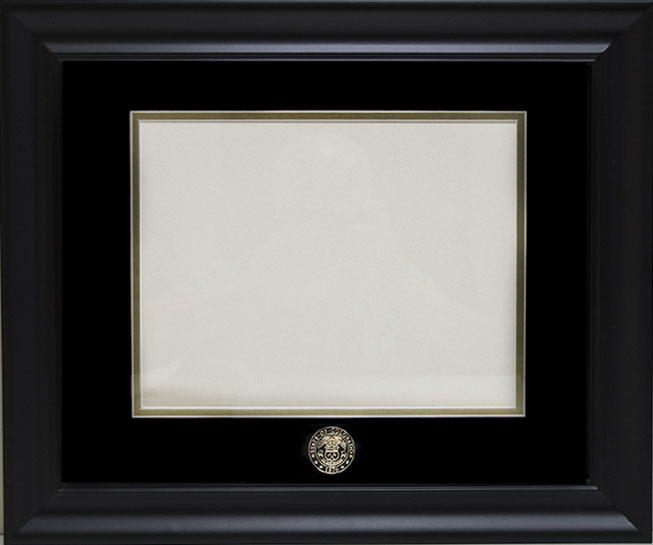 Black style quality wood frame, double matted with black over gold acid free mats, gold foil embossed Colorado State seal, premium UV resistant glass, packaged and shipped ready to hang. Exterior frame dimensions are 14x18. A handling fee is also included in the package price.